From Joan Juliet Buck, former editor-in-chief of Vogue Paris and “one of the most compelling personalities in the world of style” (New York Times) comes her dazzling, compulsively readable memoir: a fabulous account of four decades spent in the creative heart of London, New York, Los Angeles, and Paris—“If you loved The Devil Wears Prada, you’ll adore The Price of Illusion” (Elle). 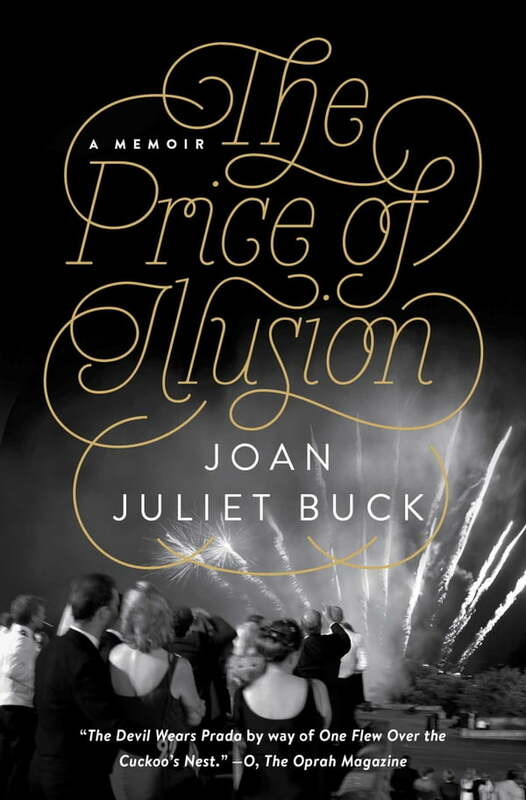 In a book as rich and dramatic as the life she’s led, Joan Juliet Buck takes us into the splendid illusions of film, fashion, and fame to reveal, in stunning, sensual prose, the truth behind the artifice. The only child of a volatile movie producer betrayed by his dreams, she became a magazine journalist at nineteen to reflect and record the high life she’d been brought up in, a choice that led her into a hall of mirrors where she was both magician and dupe. After a career writing for Vogue and Vanity Fair, she was named the first American woman to edit Vogue Paris. The vivid adventures of this thoughtful, incisive writer at the hub of dreams across two continents over fifty years are hilarious and heartbreaking. Including a spectacular cast of carefully observed legends, monsters, and stars (just look at the index! ), this is the moving account of a remarkable woman’s rocky passage through glamour and passion, filial duty and family madness, in search of her true self.